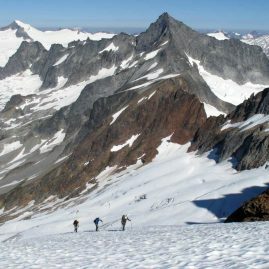 The philosophy of fast and light alpine climbing has been the main theme of these trips – whether it is on a more instructional-based course, or a series of alpine climbs. To achieve this, we’ve found that going in “heavy” and for at least a week is the best approach to getting things done. 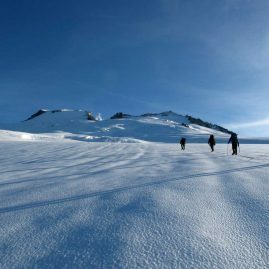 Getting up into the alpine in the Pickets is a tough piece of work – especially in the northern section which demands a full two day approach. Base camping out of a central area of either the southern or northern parts of the range is typically the plan, therefore, and then going light and fast on one or two day objectives. Depending on interest, we can also attempt a traverse of an area and climb classic peaks on the way. 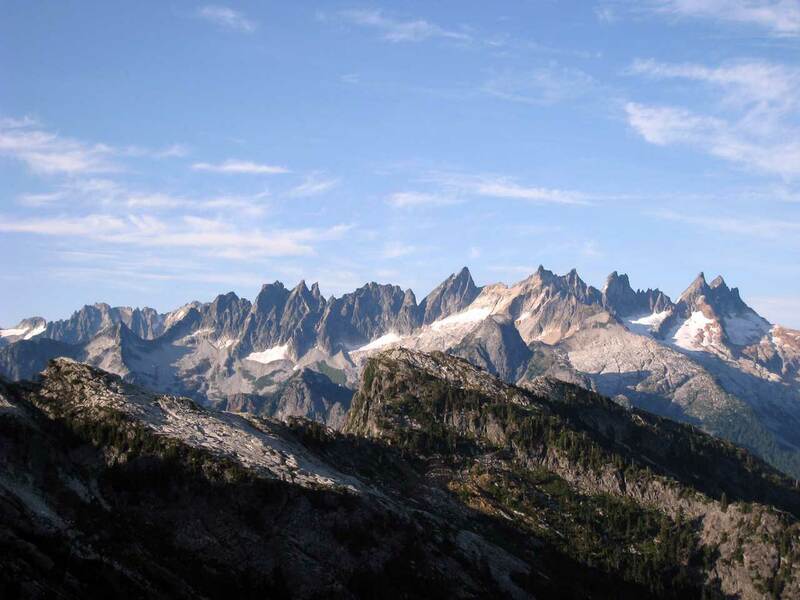 Either way, any trip into the Pickets takes on more of a mini-expedition flavor than most areas in the North Cascades. 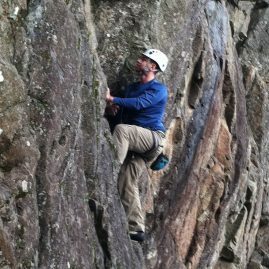 There are a variety of climbing objectives and all can be described as Fred Beckey does: steep, mixed and variable. From the Challenger Glacier to Fury’s ultra classic North Buttress; or Inspiration Peak’s West and East Ridges to the Chopping Block; or new routing on the McMillan Spires or in the Terror Basin; all climbing in the Picket Range is alluring, extremely adventurous, and a great reason to hire a guide. Day 1-2: These two days are scheduled for food planning, gear selection and approaching up Big Beaver Creek. 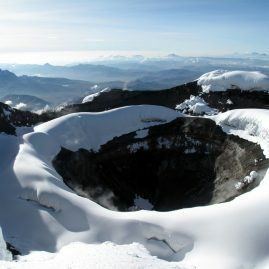 Day 3: Depending on the conditions and skill level, we will review crevasse rescue or attempt our first objective, Mt. 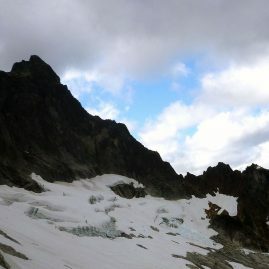 Challenger, traversing the Whatcom and Challenger Glaciers, ascending a 5.7 rock pitch to the summit. Day 4-6: Traveling light, we set out early and begin our ascents in the area. Objectives include Inspiration Peak, Chopping Block, and the north face of Mt. Fury. During this time, we will carry all our belongings and be able to set up camp or bivi as conditions dictate. 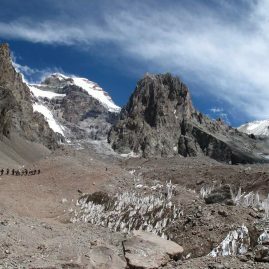 The objective of these days is to cover as much diverse terrain as possible from rock ridges, snow arêtes, and fifty degree ice, to heavily crevassed glaciers. 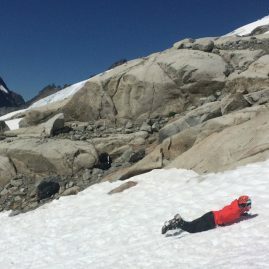 Additionally, students learn to assess and manage objective and subjective hazards, evaluate safe climbing conditions, and learn the role weather plays in this assessment. Day 7-8: Hike out and return to Seattle. Day 1-2: These two days are scheduled for food planning, gear selection and approaching up Goodell Creek to Terror Basin. 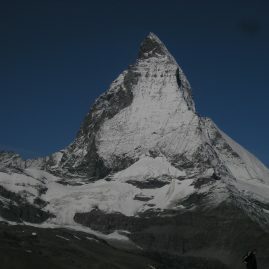 Day 4-6: Inspiration Peak are common and worthy objectives with some stellar climbing. The west wall of Terror Basin is called the Barrier, and you’ll need to cross it if your plan is to traverse into Crescent Creek Basin, where you can climb The Chopping Block, Mt. Terror, or other points to the west.